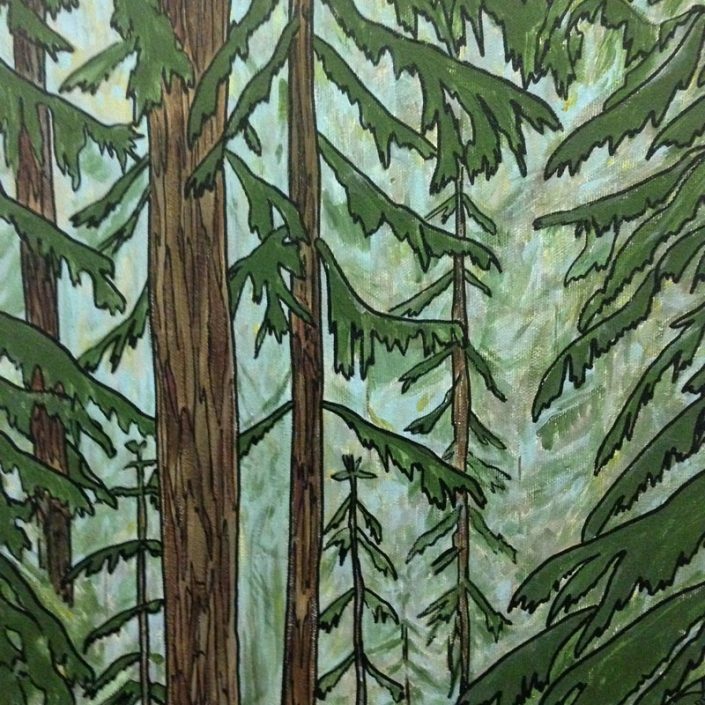 Susan L. Grieg is a contemporary landscape painter and owner of 100 Braid St Studios & Gallery located in New Westminster. 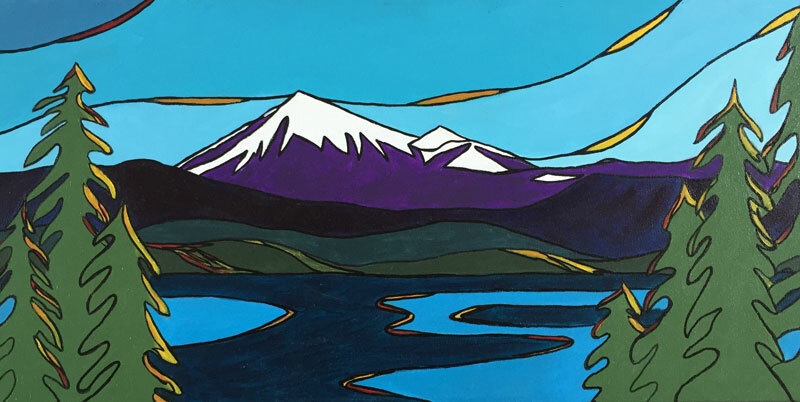 A life-long artist, she received training in graphic design & illustration but decided to pursue work as a muralist and developed a successful line of custom painted children’s furniture. Acrylic on canvas is now her main medium but she also enjoys working with mixed media. Susan has participated in many groups shows and her work is hanging in private collections in BC, USA and Mexico and at BC Children’s Hospital. 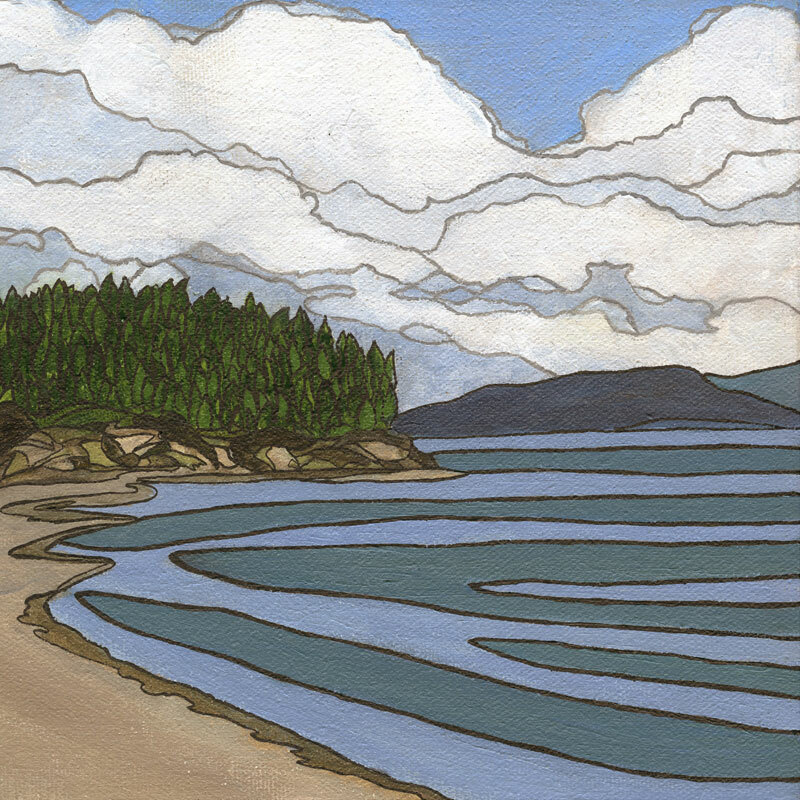 A resident of New Westminster for the past 15 years, Susan loves to paint life along the Fraser River and West Coast landscapes. 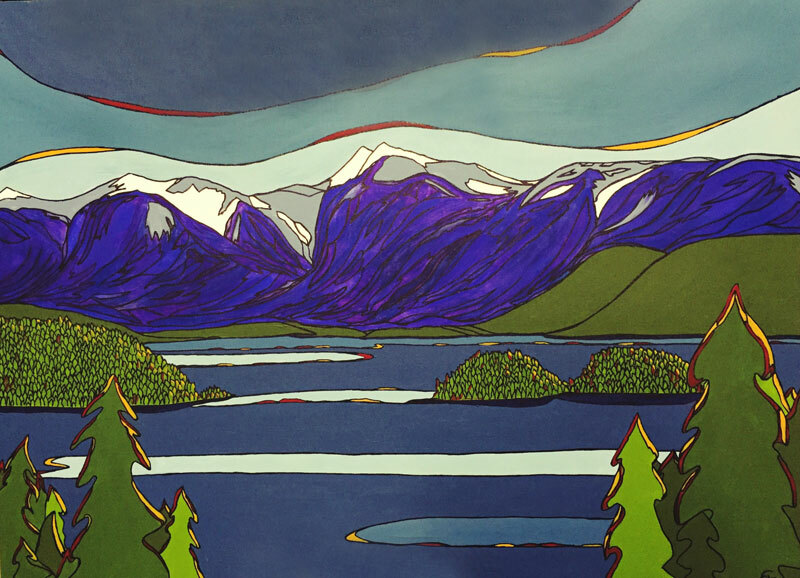 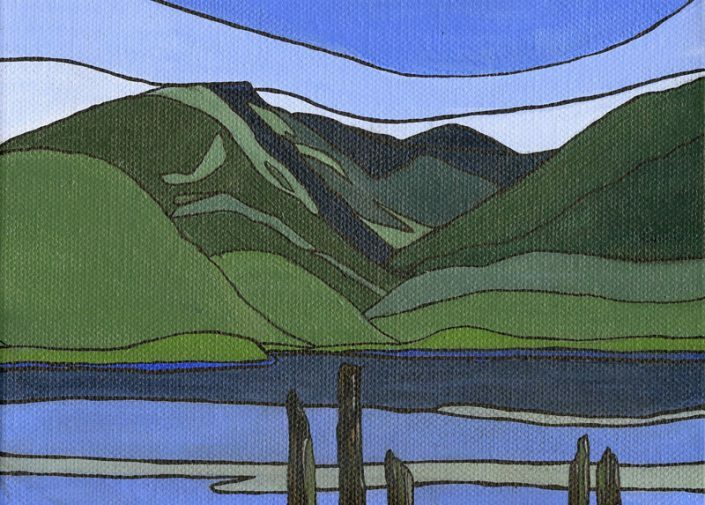 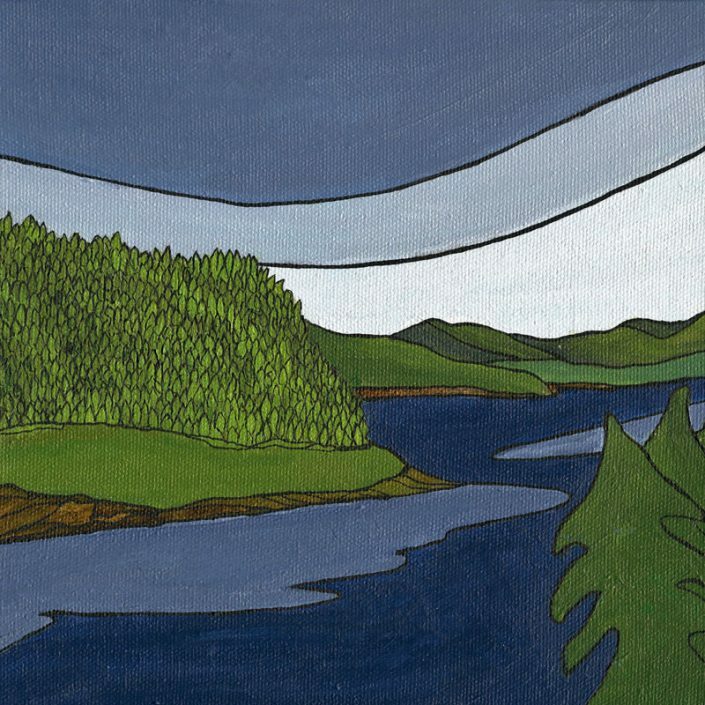 The influences that can often be seen in her work are the Group of Seven artists, Ted Harrison, graphic artist Dard Hunter, antique block prints and stained glass. Susan has aboriginal ancestry and is currently exploring and being inspired by Métis culture and how traditional arts can be translated in a modern context.